The wrath of God lies sleeping. It was hid a million years before men were and only men have power to wake it. Hell aint half full. 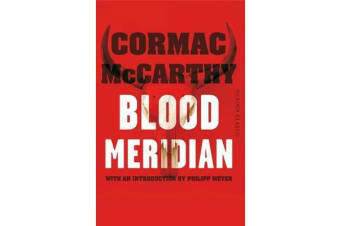 Set in the anarchic world opened up by America’s westward expansion, Blood Meridian by Cormac McCarthy is an epic and potent account of the barbarous violence that man visits upon man. Through the hostile landscape of the Texas-Mexico border wanders the Kid, a fourteen year-old Tennessean who is quickly swept-up in the relentless tide of blood. But the apparent chaos is not without its order: while Americans hunt Indians – collecting scalps as their bloody trophies – they too are stalked as prey. 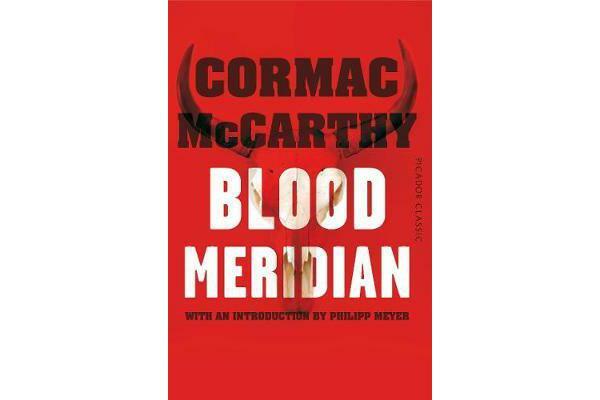 Since its first publication in 1985, Blood Meridian has been read as both a brilliant subversion of the Western novel and a blazing example of that form. Powerful and savagely beautiful, it has emerged as one of the most important works in American fiction of the last century. A truly mesmerising classic.